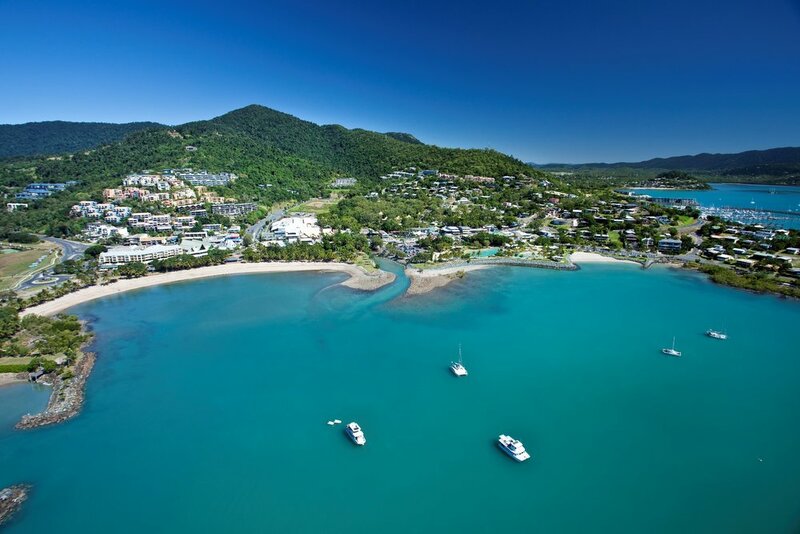 Overlooking the Coral Sea and nestled by the Conway National Park, the town of Airlie Beach is vibrant and alive. It's the largest town on the Whitsunday Coast and the jumping off point to the Whitsunday Islands and Great Barrier Reef. Offering a vast array of accommodation types from luxury resorts, apartments, self-contained, bed and breakfast, caravan parks and backpacker hostels, holiday makers are spoilt for choice when it comes to finding somewhere to stay. A variety of shops, cafe's, bars and restaurants line the main street making it easy to find somewhere to satisfy even the fussiest of taste-buds, and for those looking to experience the nightlife, there are plenty of venues that offer nightly entertainment by local and international musicians. Choose to relax by the Airlie Lagoon, from your elevated balcony overlooking the Coral Sea or soak up the nightlife that Airlie Beach is famed for, you won't be disappointed by what this little coastal town can offer you on your holiday. A short stroll from the main street of Airlie Beach is Abell Point Marina - the hub when it comes to all things nautical and the home base of Luxury Yachts Whitsundays. This is where you will start your bareboat or luxury crewed charter with Luxury Yachts Whitsundays, beginning with a friendly meet and greet by our amazing and friendly staff. Trolleys are provided to cart your luggage on board and your provisioning is delivered straight to your vessel meaning you can sit back and relax in to the holiday vibe. A number of bars, cafes and restaurants can be found at Abell Point Marina, perfect for a delectible meal either before or after your charter. A number of day tours such as jetboating, jetskiing, sailing and motor cruisers depart the marina daily taking holiday makers to iconic places such as Hill Inlet and Whitehaven Beach.